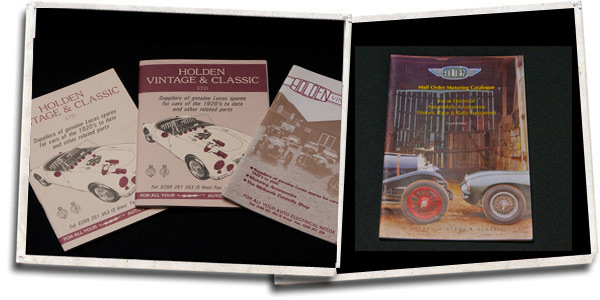 Holden Vintage and Classic Ltd was established on the 1st October 1988 in Hartlebury, West Midlands. 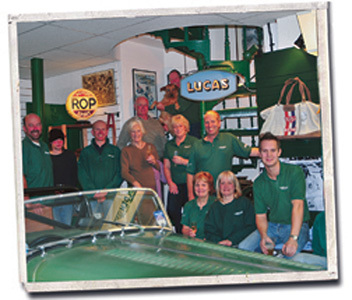 At that time specialising almost exclusively in Lucas products. Soon we produced our first mail order catalogue, 40 pages and typed on a daisy wheel type writer! 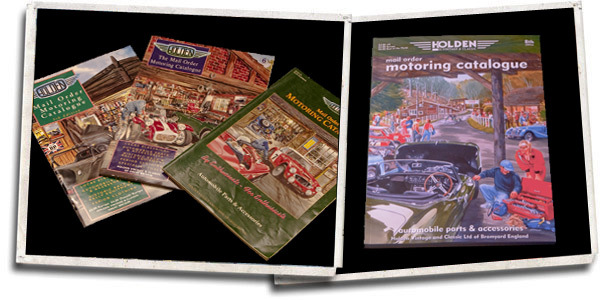 Over the following years the catalogues grew with the advent of many additional product lines. On the 1st July 1994 we moved to Bromyard, Herefordshire. In 2000 a new factory was built giving room for larger stores, new sales office and a graphics studio to cope with the increased catalogue production (now over 300 pages) and web site development. We have worked with ex Lucas suppliers and toolmakers alike to re-introduce an increasing number of control boxes. 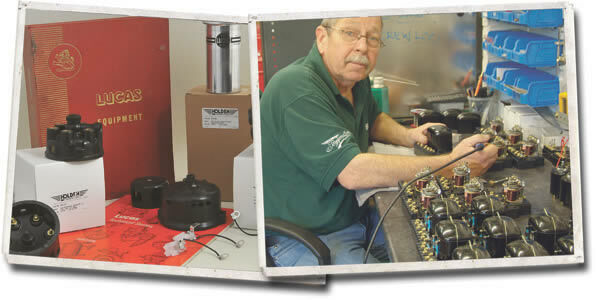 Picture left shows ­component inspection and assembly being undertaken by Roy at our works in Bromyard. We are steadily adding to the number of ignition components, the latest, a standard Lucas 12v coil but modern resin filled and better performance. Customers and colleagues set off for Le Mans 24…in fact it was 24hrs riding on mopeds and raised over £8,000 for the McMillan Nurses Appeal. Such fun was had that many of us still use (some prefer) mopeds for ‘ride outs’, the last trip being to the North West 200 Road Race in Northern Ireland. It turns out that just over 20% of our customers have an interest in motorcycles, about the same ratio here at Holdens. Holden friends and customers celebrate at '100 years of the Midland Automobile Club at Shelsley' - seen are the Auto Union and V16 BRM both requiring spare parts, alas not stock items, but Colin has since come across one! Julian, who joined the company 14 years ago, became Managing Director as Jeremy became fully involved with things aluminium. Julian’s extra responsibility will no doubt prolong the MGA Coupe ­ rebuild started Q3 of the last century. Another restoration ­ started a few years ago now is the works V8 Caterham, or Caterham if you wish, a project that will no doubt be awaiting finishing when this young man (Will) finished school…or uni! Jeremy’s involvement with sister Company Holden Aluminium Technologies led to the purchase of Hydro Worcester, manufacturer of Lotus and Aston Martin ­chassis. A proud moment when the Holden-sponsored DBR9 won the Le Mans 24hr GT1 class. Picture shows a jubilant David Richards, Aston Martin Chairman, and Jeremy Holden during celebrations after the race. The aluminium company later became part of Group Lotus. Belstaff is no stranger to Bromyard or Hollywood! When increasing the range of period style clothing Holden’s were delighted to accept the appointment as Classic Distributor for the Pure Motorcycle Collection. Worn by the likes of Ewan McGregor and Charley Boorman and featuring in countless films and documentries including Long way down and Wild hogs and, more recently, The curious case of Benjamin Button, staring Brad Pitt. We celebrated our 21st Birthday as a company in October 2009 - thanks to all here and you customers out there. Most of the team seen in this photo have worked together for years, Chris and Colin suffering more than most having endured the full 21 years! We would very much like to hear from any customer that still has an original catalogue, the one with an MGA on the cover.